More banks are coming to recognize that the way forward requires a proactive approach to connecting new banking channels and capturing the customer loyalty, while controlling costs. To do this, banks face an ever changing market with new or changing rules to do business, client demands for NOW results, technology challenges, but they need to find practical first steps that will generate demonstrable progress. Provide an Assessment of your Corporate Strategy, Best Practices, Performance, Products, Lending, Technology, etc. CCG Catalyst draws on deep experience with the banking industry to help our bank clients address these unprecedented management challenges and plan for evolving competitive and regulatory landscapes. Given every bank’s unique operating environment, market and strategic vision, we work with our clients to develop, communicate, implement and manage successful strategies, aligning actions with long-term objectives of a bank while also balancing risks. In the last Twenty Years, the banking industry has gone through some remarkable highs and extreme lows. As we exit a once in a lifetime business cycle, lingering effects such as sweeping new regulations and tougher oversight have dramatically changed how banks do business. The industry is challenged to develop innovative channels to growth and profitability within significant market challenges. Banks that are proactive and strengthen customer loyalty, identify new profit avenues, and strengthen risk and compliance management processes will be better positioned to compete in this ever evolving industry. The long-term winners will be banks that look forward and develop strategies to take advantage where the market is evolving too with the correct set of services, products and peoples and the right amount of technologies supporting the future objective. CCG Catalyst’s helps banks develop strategy with end-to-end decision-making processes to guard against today’s challenges and adapt to government and regulatory changes going forward with embed risk management and governance systems into the organization. We measure our success by our clients’ success. We make all our resources available to our clients and commit ourselves entirely to their success. We seek to identify our clients’ real needs, not just deliver. The bank had no strategy related to core processing and the processing environment of the system. 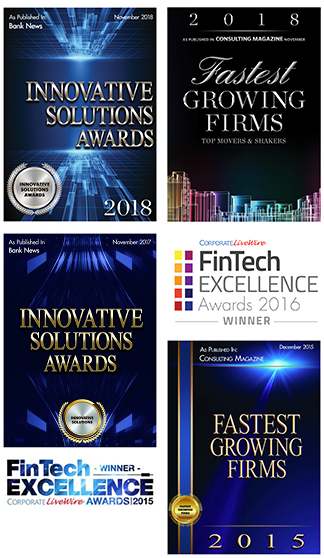 The engagement identified the best Core Processing Services Operating Environment and Application Platform that was best aligned with the bank’s short and long term goals. CCG Catalyst evaluated the current environment, identified the Bank’s unique requirements and staged the vendor acquisition process. The bank was very concentrated in Commercial Real Estate lending and needed to diversify. CCG Catalyst developed a strategy for this client based upon a market opportunity analysis, an assessment of the completive landscape, a review and recommendation of credit products and delivery capabilities. Review and recommendation on skill sets required and what additional resources would be needed to reach the defined objective. We worked with the bank to create the strategy and implement the result. The challenge set before the bank was whether and how to expand the Virtual Branch banking business in a profitable manner and in a way that supports the bank’s strategic objectives and leverages the Bank’s brand in a domestic market. The bank’s demographic landscape had undergone considerable change over the years. They were growing in some markets, but were losing market share and customers in previous top earning branches. CCG Catalyst assessed the market and determined they had no coherent strategy for transitional branches. We developed a strategy for the bank that resulted in loser branches turning in winning branches, increase in branch profitability and core deposits and loans. The Bank’s branch network has been built over the last several years primarily via acquisition (whole bank, branch purchases, FDIC-assisted transactions). The Bank’s acquisition orientation appeared to have contributed to below average branch performance. As a result, Bank held less than its fair share of deposits in the majority of existing markets. The bank asked CCG Catalyst to assist in the development of a strategy with an emphasis on organic branch growth of the current branch network in order to enhance the franchise it has accumulated via acquisition. The Bank requested a strategy that would provide the Bank with a set of best practices to support the company’s operational service offerings for customers transacting business throughout the USA. The engagement objective; retain Bank’s customer experience lead position; enhance Bank’s strong operational foundation that it leverage as it grows; enable Bank employees to have greater satisfaction from their work by having more of the tools and processes that make them productive; and preserve and enhance Bank’s high quality level by avoiding mistakes that could undermine its business, reputation and the confidence its customer. We assisted the Bank in adopting a “Best Run Bank” strategy with a clear vision of the future state and assisted in the execution of the multi-year year roadmap.